When you are needing to get to nearby hotels or local convention centers you can find your way to many destinations around the Long Island MacArthur Airport. Stretching along the eastern coast of New York, Long Island is home to some of the most sought-after recipes and upscale brands that mixes classic scenery with trendy up-and-comers. Whether it’s a glass of local wine or the incredibly attentive staff, Long Island MacArthur Airport brings the sounds and feels of an entire oasis under one roof. 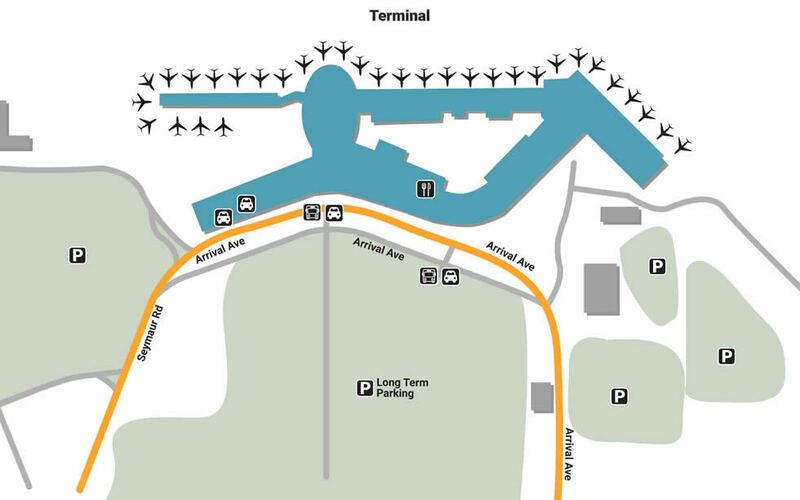 The easiest place to park is The Short-Term/Hourly Lot, which are directly across the street from the Main Terminal. The Long-Term Lot is located south of that, with an overflow Economy Lot located south of that - overflow is accessible as you take the first right on Arrival Avenue. The complimentary Economy Shuttle starts at 4:30am, making regular trips every 15-30 minutes. There is also handicapped parking in the Short-Term Lot offered at the lowest Economy Rate. From the basic to the necessary, MacArthur is also home to services that make the act of waiting transform into an art form. Enjoy your first hour of Wi-Fi free of charge, after that using it for an all-day fee. The airport also partnered with the local Suffolk County Public Libraries to provide free downloadable books to passengers, courtesy of the on-site ‘Live-brary’. Mothers in need of quick relief should utilize the Mother’s Room, a tranquil space that comes with a rocking chair, soothing paintings, and a fully-equipped changing table. For those traveling with their pets, stop by either of the two Pet Relief Areas, which are located across from the AutoPlane building and outside of baggage claim. Arriving in one of the world’s shopping capitals is bound to bring interesting merchandise to the surface, especially when you wade the waters of MacArthur’s retail options. Stop by East End Getaway near the Main Terminal Atrium for island-themed souvenirs as well as imported soaps and coffee. There’s another gift shop called The Paradise across from Gate A5 that offers plentiful reading material and hearty snacks. If you’re in need of a more diverse literature selection, walk over to Heritage Books, located next-door to the CNBC News Store. In addition to interesting shops and public amenities like the complimentary ’Jawsome’ Long Island aquarium and exhibition center, the airport is also home to tasty sit-down restaurants. Eat a hearty burger alongside a classic milkshake at A&W (A5), or enjoy the family-run Italian dishes of Mamma Lombardi’s Restaurant, located next-door. For an upscale adventure into Maryland-style seafood, dive into Phillips Seafood for quick-to-serve luxury. There’s also a Starbucks located before Security as well as a Great American Bagel near Gate A5 if you miss your first chance at a pick-me-up.